Now that #AppSaidYes and you did too, these next steps will prepare you for life as a Mountaineer. 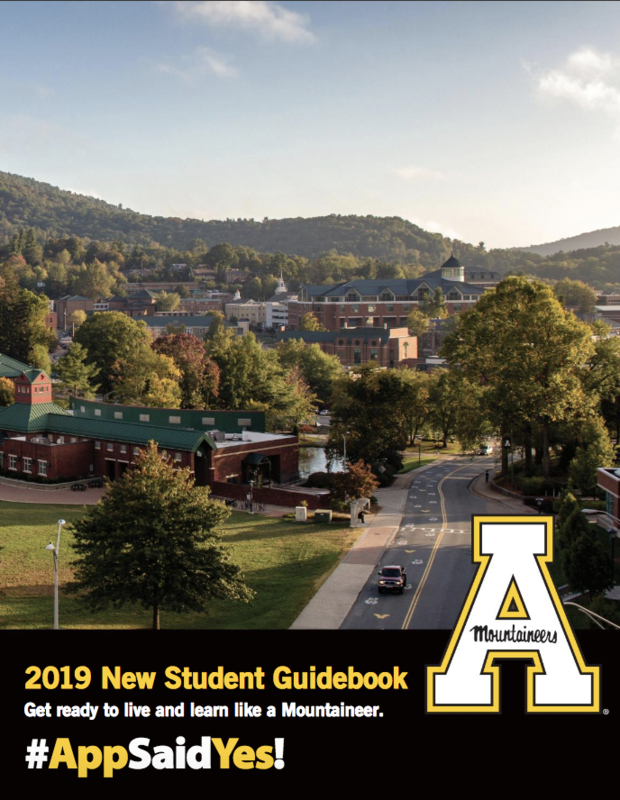 Now that you’ve confirmed, you will use AppalNet – the Appalachian student portal – to access financial aid information, sign up for orientation, register for classes and stay current on upcoming enrollment steps. You've also been assigned an Appalachian email account. Appalachian uses private GMail services - find out how to login below. Review housing options and apply by the deadline on your enrollment checklist. Consider locations, room styles, rates and opportunities like Residential Learning Communities as you select top choices. First-year and transfer students less than a year out of high school are required to live on campus (there are a few common exceptions). On-campus housing for transfers out of high school more than a year is granted on a space-available basis – we encourage these students to explore off-campus housing options. Orientation formally introduces you to the Appalachian community and will help get you familiar with campus and resources available to you as a Mountaineer! These sessions are required and available on a first-come, first-served basis – sign up early to get your preferred session. Each session offers you the chance to learn your way around campus, meet with an academic advisor and faculty members, and finalize your first semester class schedule. Learn more and register in your portal! Parents, we’re hoping you can come too. You can always see current charges after registering for courses in the “Detail by Term” tab in AppalNet, and you’ll receive email notification of any bills. Only students who register for courses before the first billing date are subject to schedule cancellation; students that do not pay in full by the due date will be subject to late charges. There is a dedicated Parent Portal for parents to access after a student indicates this in AppalNet. For information about the tuition and payment, including the tuition installment payment plan, visit the Office of Student Accounts. Beginning to build your Appalachian community is the first step to getting plugged in at Appalachian. Incoming first-year students should join the Official Appalachian State University Class of 2023 Facebook group to connect with future classmates! Incoming transfer students should join the Appalachian State Transfers Facebook group! If you haven’t already, start following Appalachian State University social media to stay up-to-date on what’s happening on campus and in the community for current students! Take a hike on the wild side with First Ascent, Appalachian's wilderness orientation program for first year students. It's completely optional, but it's a great way to spend four days exploring the spectacular forests near Appalachian's campus with your new classmates. View summer 2018 dates and options. Are you interested in developing your leadership skills? Do you want to know how you can make a real impact at Appalachian? Trailhead Academies (June 24–27, 2018) may be the answer to get you started. Join this three-day session with some of the strongest students. ASCEND Supplemental Orientation (August 11–14, 2018) is a four-day program for students from marginalized and historically underrepresented backgrounds. This program establishes a solid foundation for new students to feel a sense of belonging and community, be empowered to succeed with knowledge, connections, and resources, and to explore and give back to their new home-away-from-home. Welcome to App begins with Welcome Weekend. Enjoy Appalachian, make new friends, have fun and start weaving yourself into the fabric of student life! Welcome Weekend activities are an extension of orientation.